You’re locked in a room with friends/strangers. You have up to an hour to work together to hunt down all the clues and keys in order to unlock the door. Afterward, you get to take a “We won!” or “We failed” photo with your group. This is the premise behind Escape Rooms. The interactive puzzle craze has swept the nation. It’s a great romantic or platonic date idea. Some offices and educational centers have even started using escape rooms for bonding activities. You could register to escape a seemingly normal apartment room or get fancy with a submarine-themed room. Or maybe you have to escape the room before a zombie comes to get you – it’s your choice. 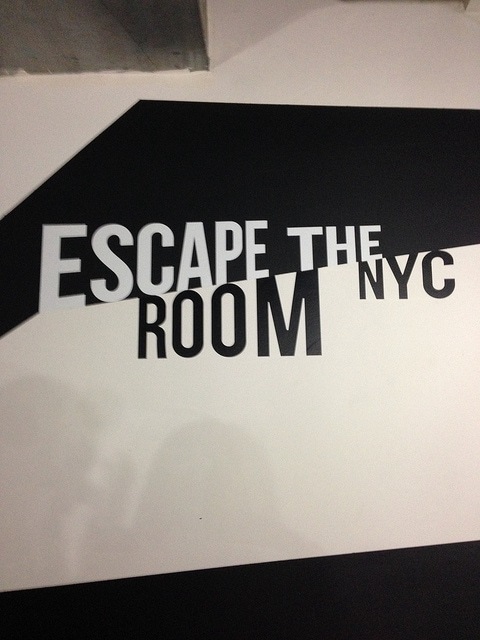 Escape Rooms come in a plethora of themes. If you love matching your outfit to a theme, let’s talk how to dress for your Escape Room adventure. The outfits below are broken down depending on whether you’ll be playing a good guy or bad guy for your escape room. You signed up for an Escape Room and you’re pumped because you’ll be roleplaying a private investigator or spy. Perhaps the scenario is that you’re trying to find a victim’s location or complete a top-secret assignment. Rule of thumb: wear stretchy pants. You’ll be moving around a lot trying to find clues (don’t forget to look under tables!) and you don’t want to worry about flashing anybody in the process. Midi-length skirts or dresses with tights work too if you’re not a fan of pants. Channel your inner Sherlock Holmes with a button-down tunic. The shirt length is for all you leggings-aren’t-pants chorusers. 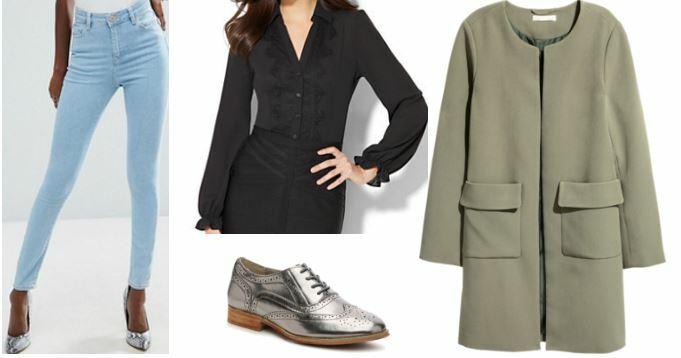 Keep up the “I’m-a-professional” vibe with a gray blazer. Giant pockets are a must for storing your phone/wallet. A purse gets in the way during the game and you’re not allowed to have your phone out. Comfortable boots round out the outfit since you’ll be on your feet for an hour. Bonus points: The outfit is professional enough to go from the office or school presentation straight to the Escape Room. 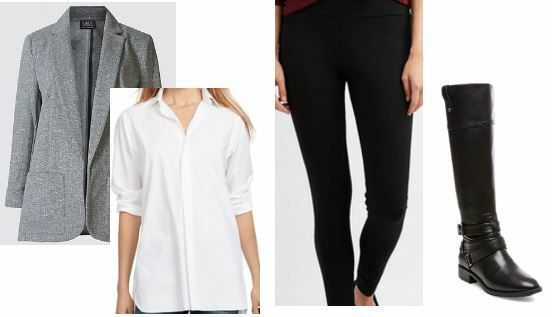 Feel free to swap out the black ponte leggings for stretchy black ankle pants if you’d like to step up from leggings at work/school. If you’d rather play a bad guy, sign up for a bank heist Escape Room. You could grab loot in an Old West setting or steal a diamond from a high-security bank. Do a throwback to American Old West influences with light wash high-waisted skinny jeans and a black Victorian-inspired blouse. Impersonate Billy the Kid and go rob that bank. If you’re more into a modern bank heist context (think Ocean’s 8) and you constantly have B*tch Better Have My Money stuck in your head, model Rihanna’s look from her iheartradio performance (warning: video). Tone down the green and add pockets. Voila! Perfectly polished. Nobody would suspect a thing. After following the wear-stretchy-pants-and-have-pockets-for-your-stuff formula, throw in a dash of fun with silver oxford flats. Pretend you’re a genius computer hacker and the master thief à la Lupita/Rihanna. What theme did you do? How did it go? What tips do you have for newbies? Let’s chat in the comments. Tags : Events, fun activities, Lupita Nyong'o, Rihanna, What Do I Wear There?